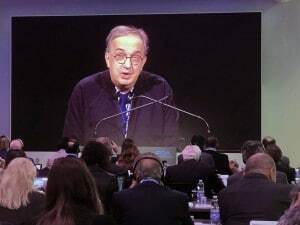 Manley’s predecessor, the late Sergio Marchionne, had long been an avowed skeptic of self-driving vehicle technology, but he begin to shift position over the last several years, announcing plans to expand investments in autonomous vehicles as part of a five-year plan announced shortly before the CEO’s unexpected death in late July. 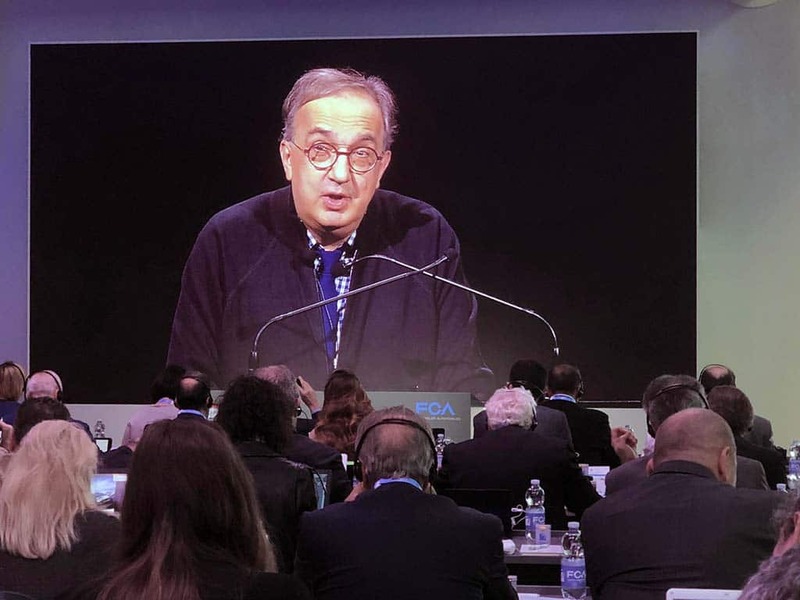 FCA's former CEO, the late Sergio Marchionne, announced plans to to ramp up investments in autonomous driving as part of a new, 5-year plan. That reflected the automaker’s tie-up with Waymo which is considered by many to have the most advanced autonomous vehicle program in the industry. In 2016, FCA agreed to provide a handful of Chrysler Pacifica Hybrid minivans to Waymo to be used as part of a pilot self-driving ride-sharing service. That was subsequently increased to about 2,000 Pacificas. And, last May, with Waymo set to turn that into a commercial venture in Phoenix – with plans to expand to other markets around the country — FCA agreed to provide it with as many as 62,000 of the minivans over the next few years. 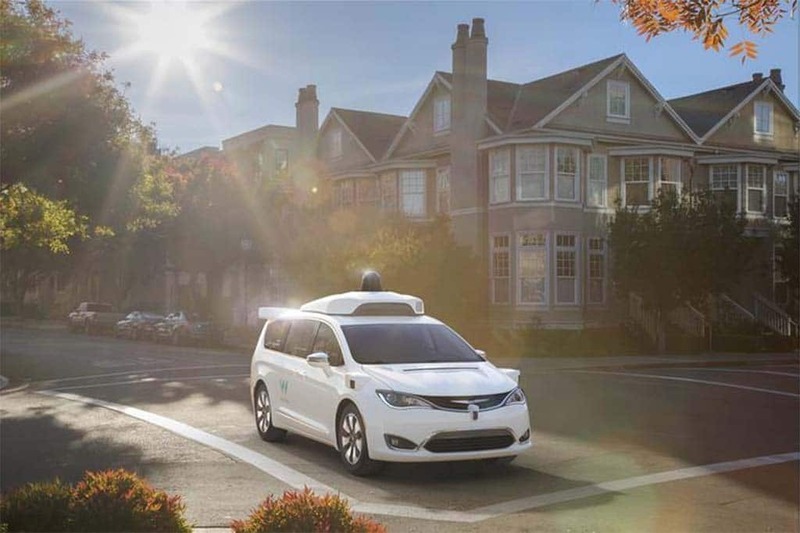 Fiat Chrysler officials have not disclosed whether they will eventually use Waymo technology in the vehicles they sell, either to retail or fleet customers. But Marchionne had stressed that the relationship with Waymo was not monogamous and, indeed, the subsidiary of Google parent Alphabet has also contracted with Jaguar to acquire more than 20,000 of its new I-Pace battery-electric SUVs. Today’s announcement appears to confirm that FCA has now fully committed itself to offering some level of self-driving technology in future vehicles, however, whether it comes from Waymo or another partner, or is developed in-house. 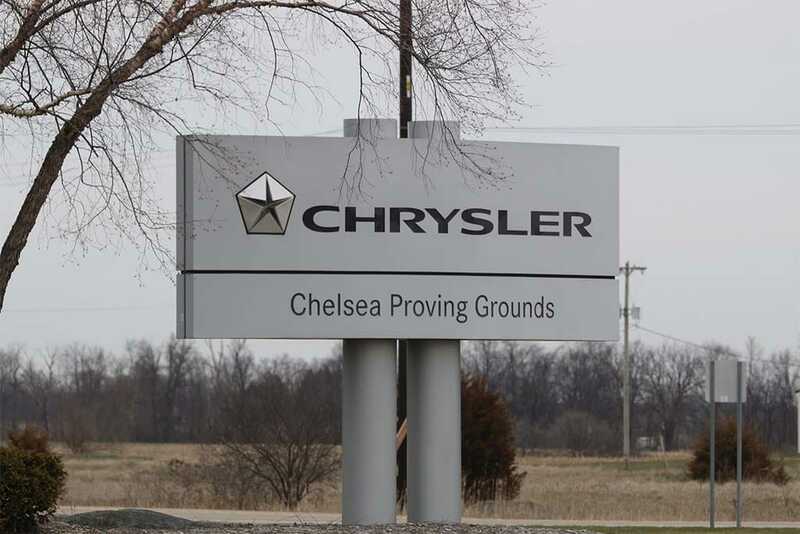 Chrysler has added a new highway-speed track and other facilities specifically for testing autonomous vehicles and related technologies. 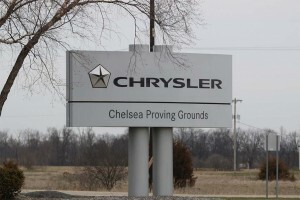 The new testing facility at the Chelsea Proving Ground is set to formally begin operations this month. It features a new highway-speed track dedicated to testing autonomous vehicles, along with a 35-acre evaluation center for testing not only autonomous vehicles but ADAS systems, such as forward collision warning technology with auto-braking and various other capabilities. ADAS technology is becoming increasingly common in vehicles at all price points. Rival Hyundai, for example, will make a suite of such driver assistance systems standard for 2019 on all but the base version of its Elantra model. Working out of a new, 6,500 square-foot command center, FCA said its engineers and researchers will be able to run tests based not only on U.S. safety standards, but those set by foreign regulators, as well as by third-party organizations like the Insurance Institute for Highway Safety. This entry was posted on Wednesday, September 5th, 2018 at and is filed under Automakers, Automobiles, Autonomous Driving, Business, Driverless Vehicles, FCA, Investors, Jaguar, Ride-Sharing, Safety, Semi-autonomous Driving, Technology, Technology, Waymo, waymo. You can follow any responses to this entry through the RSS 2.0 feed. Both comments and pings are currently closed.